Already a member? Click here for our members' only BTLi Forums! 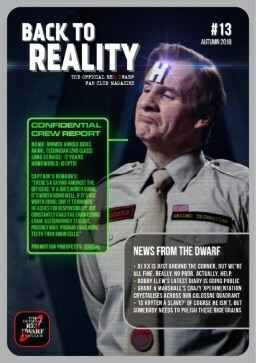 Welcome to the Official Red Dwarf Fan Club website. 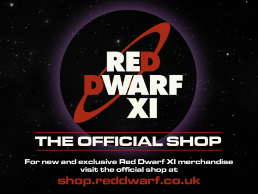 Established way back in 1990, The Official Red Dwarf Fan Club is managed and operated by fans, for fans of the long running British comedy Red Dwarf. While being an independent, stand-alone entity funded entirely by its members, TORDFC is uniquely supported by the makers of the show at Grant Naylor Productions. This support enables TORDFC exclusive and unrivalled access to the cast and crew of the show. The Red Dwarf communintiy continued to be strong after the show initially finished in 1999, but it's now starting to grow ever larger and more active thanks to the 2009 Back to Earth special and the recent Series X. See the Communication section for different ways to contact other fans. The Fan Club produces the magazine Back to Reality , giving a round-up of all the latest news plus original articles and the opportunity for fans to contribute their thoughts and creations with fellow members. The next issue of which is currently being written. We also organise Dimension Jump, the almost-annual Red Dwarf convention, with the next event currently being organised with details to follow shortly. 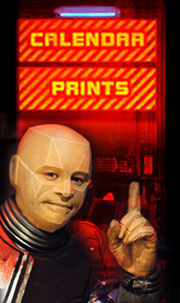 - The Official Red Dwarf Fan Club.